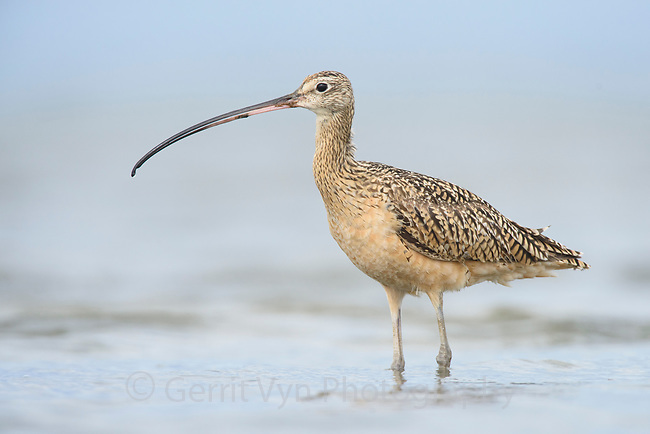 Long-billed Curlew (Numenius americanus). Grays Harbor, Washington. May.